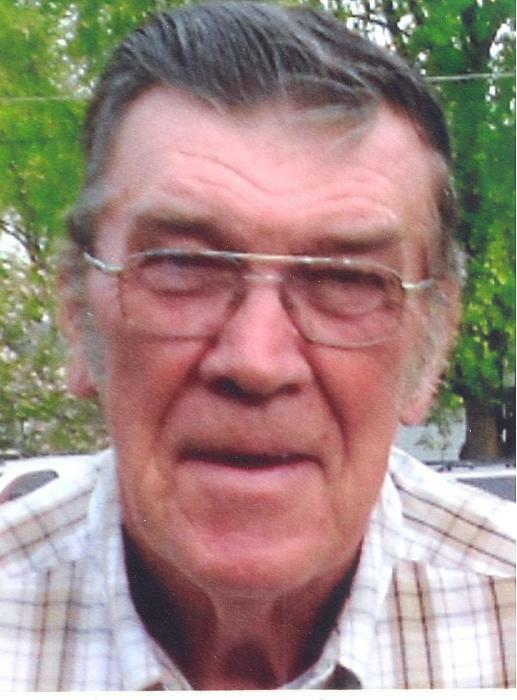 Roy L. Matthews, 77, of North Vernon, passed away at 1:40 a.m. on Friday, November 30, 2018, at his niece’s residence. A Celebration of Life will be held from 6:00-8:00 p.m. on Friday, December 7, 2018, at North Vernon Firehouse #2 next to Wal-Mart. The Final Call service will take place at 7:00 p.m. A military service and inurnment will take place at 11:00 a.m. on Saturday, December 8, 2018 at the Indiana Veterans Memorial Cemetery in Madison. Arrangements are entrusted to Sawyer-Pickett Funeral & Cremation Service. Born October 17, 1941, in Jennings County, Roy was the son of Herbert Matthews and Martha Coryell Matthews Smith. He married Mary Catherine (Katy) Biehle on June 9, 1962 at St. Mary’s by Father Omer Eiseman. She survives. He graduated with the Class of 1961 from Vernon High School. Roy served in the United States Air Force from 1961-1969 during the Cuban Missile Crisis and the Vietnam War. He had worked at the City of North Vernon Wastewater Plant. He was a member of the NV Center Township Volunteer Fire Dept. for 30+ years and worked as a paid driver for the North Vernon Fire Department. He served as the North Vernon Fire Chief and during this time as chief the aerial truck was purchased for the city. His most memorable year was when he achieved 100% coverage of all fire runs. He had to resign as fire chief when he moved out of Center Township and then joined Lovett Volunteer Fire Department where he remained active until just recently. He was a member of St. Mary’s Catholic Church and the Indiana Volunteer Firefighter Association. He had formerly coached Lassie League Softball and rode with Ramey’s Wagon Train and Outriders. He enjoyed fishing, mushroom hunting, his grandchildren’s sports, hunting, and farming. Roy is survived by his wife, Katy Matthews of North Vernon; five daughters, Teresa Taskey of Seymour, Tina (Tim) Pearson of North Vernon, Karla (Danny) Vance of Dupont, Gracie (Ralph G) Matthews of North Vernon and Kelly (Jose) Gonzalez of North Vernon; son-in-law, Rick Goad of Seymour, sister, Susie (Richard Streight) Adams of Marietta, OH; 14 grandchildren, and 21 great-grandchildren and numerous nieces and nephews. He was preceded in death by his parents; daughter, Lisa Goad; son-in-law, Michael Taskey; and a granddaughter, LaDawn Vance. Memorials may be made through the funeral home to the Center Township Volunteer Fire Department.